It’s common to see sneakers selling for stupendous sums these days. The lemming-like ‘hypebeast’ will pay handsomely for limited-edition kicks, their sky-high prices inflated entirely as a result of marketing Jedi mind tricks and artificial scarcity (the brand choosing to produce far fewer pairs than their factories could potentially turn out, creating a supply/demand imbalance). Don’t get us wrong. We’re all for investing in a good pair of shoes — as the old adage goes, you should never scrimp on your footwear or your bed, because if you’re not in one, chances are you’re in the other. But there’s got to be an authentic value proposition. That’s certainly the case with the sneakers purveyed by new Scandinavian footwear firm, North-89. Producing classic, beautifully made (and in fact, remarkably good bang-for-buck) shoes that look as sweet with a suit as they do accompanying a casual ensemble, the company was founded in 2016 by Gustaf Secher. The Rake caught up with the young Swedish shoemaker to uncover the qualities, philosophy and provenance of North-89. Gustaf, tell us about the history of North-89 — when did the company start and what motivated you to establish an upmarket sneaker business? We launched our first collection in 2016, but the idea of starting a sneaker brand dates back to around 2013. I have always wanted to start my own brand and I have always had a passion for sneakers so it felt like a natural thing to do. I found that there was a gap between sneakers and functionality. We have varying weather conditions here in Sweden, with harsh winters but relatively warm summers. With that in mind I wanted to create something that adapts to the changing seasons that we experience in Scandinavia and in many other places around the world. What makes a North-89 sneaker special? This would be the materials and the way we work with our collections. Our materials and our concept are based on seasons and weather. 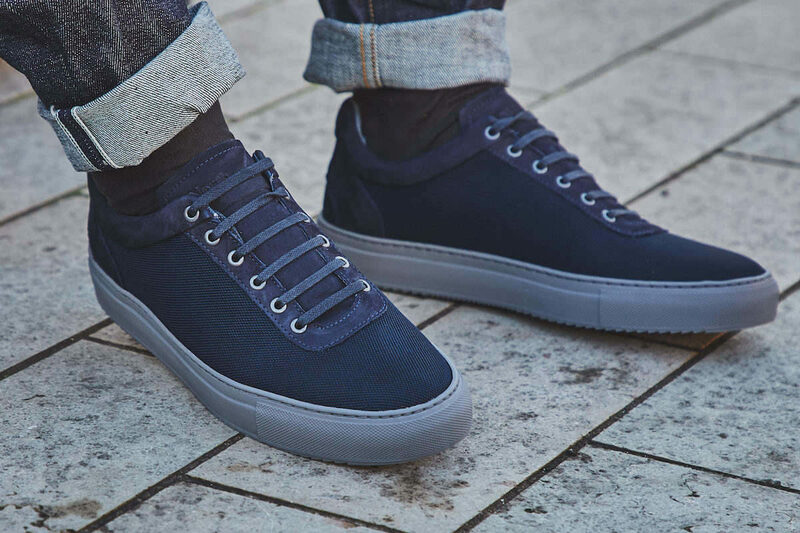 We use weatherproof materials and leathers for autumn/winter so you have the possibility to run around in sneakers, even though its snowing or raining, without your feet getting wet. 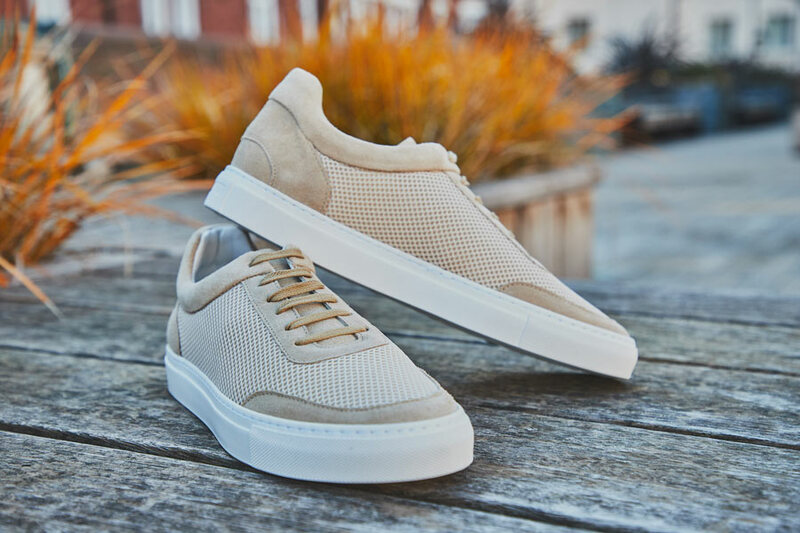 For spring and summer, we adapt our materials to warmer climates, using leathers for pre-spring and breathable materials such as cotton mesh for summer. How would you describe the North-89 philosophy? We are shoemakers designing for Scandinavian conditions in the north to the world. We believe that functionality should be a given even when it comes to sneakers. We draw inspiration from Scandinavia and the weather conditions that we have here. It is important for us to show that sneakers can be functional without sacrificing style and design. You’ve got a great-looking Instagram account [@north89official]. Is social media proving helpful in promoting your business globally? Being a small and new brand, social media is the best way for us to reach out to new customers. If done right it can have a huge impact on your business and sales. It has been a great platform for us to spread our brand, find new customers and grow. Using influencers that we believe fit our brand has helped a lot. It’s important to find the right people to promote your brand because this will have an impact on how your customer will view you. Do you design with a particular character or personality in mind? We design for people who are design conscious but still want that touch of functionality in the clothing and footwear that they buy. For us, that can be someone who works at a bank and has a sartorial way of dressing, or an athlete with a sportier style, and everyone in between. We don’t want to limit ourselves to a specific person, we believe that our sneakers are very versatile in their look. What does your Swedish background bring to the brand? And what’s your key source of inspiration? The design, colors and material choices are definitely inspired by my Swedish heritage. I have grown up abroad but Sweden has always been a big inspiration to me. When I design our sneakers I want to give them character but still keep them simple, aesthetically pleasing and functional. I take in inspiration from anything. I don’t really have a specific source or a place I go to. I look for colours that I find inspiring or combinations of different colors and then take it from there. Today we are able to find the right materials in almost any colour, so I mainly look at colours and then we also have to consider what season we are designing for. Since our sneakers take a functional approach we look at more technical brands for inspiration as well to see what we can pull from there. What are the most important attributes to look for in a high-quality sneaker? Quality of materials, comfort, and where they are produced. We only use high-quality materials, leathers from Italy for example. Our soles are also from Margom, which is the only way to go in the sneaker industry. Comfort for us is vital, we have found an insole that uses memory foam, which allows it to form after your foot. We want you to be able to run around in our sneakers all day without your feet getting tired. Our shoes are handmade in Porto, Portugal. This is where 99 percent of quality brands produce their shoes unless they are made in Italy. The No.2 in Sand. Photograph by James Munro. 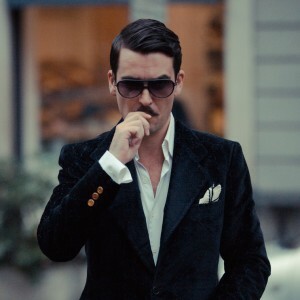 Christian Barker is The Rake's Asia editor-at-large, a frequent contributor to this site, and an enthusiastic consumer of fine whiskies, sashimi and classic disco music - ideally in unison.